Been thinking a lot lately about mountains and multitudes, callousness and compassion, waves and wavering, faith and fear, daring and doubt. The stuff of spiritual authority over people and places, modeled by Christ in Matthew 14. Six times in the past 21 months; it has been an absolute privilege to join 1000’s of Christ followers in Chicago sincerely praying into the needs of our city. Once again, two weeks ago, on the Northside; Black, Brown, Yellow, and White, in worship, confession, communion, and heart-felt cries of prayer. Truly a taste of heaven on earth! The very next weekend, 9 killed, 45 shot in the bloodiest 2-day weekend in over 2 years. 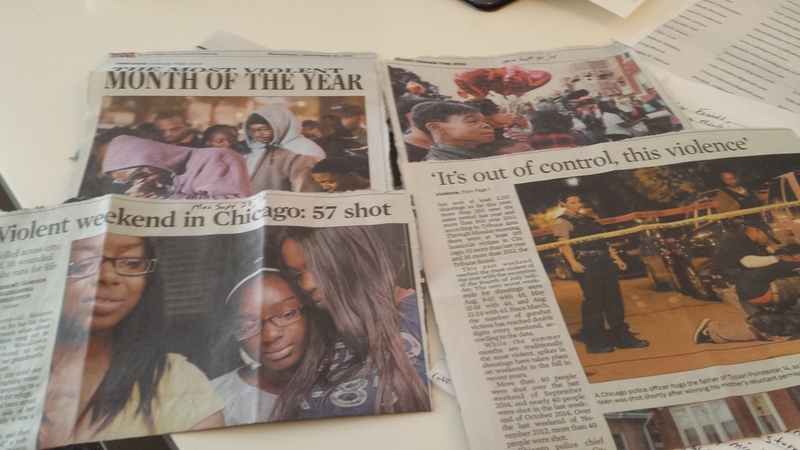 The headline in the Chicago Tribune exclaimed, “Violence out of Control.” The following weekend, 57 shot, 4 killed, and the Tribune telling the story of a wounded 10 year-old little girl literally running for her life. And to cap it all off, in the past two days, 14 more shootings, 6 fatalities in 15 hours, making September the most violent month of the year. 60 homicides, and a grand total so far this year of over 2,300 shootings. 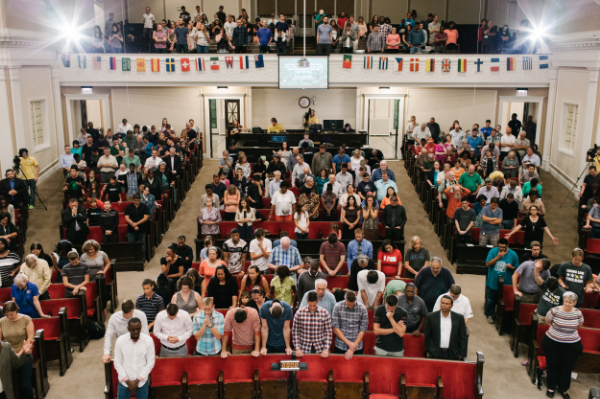 help steward, deepen, and widen PrayChicago, so not wanting to miss our “Esther moment” to rally the Church to pray into all 77 of our neighborhoods, and desperately needing to see Him walking on the waves, and beckoning us to come. Yes Lord, my faith is so often too small, but in your power we courageously will continue following you into the storm! You are so right. We hear things each day and see visuals that demand us to ask oursevles, "What’s the point? What’s the use? Why press on?" We see other things on TV in almost infomercials to ask God for our own benefit. Yet, we continue to pray. It does not make sense in this world. We pray anyway. Thank you. Press on.